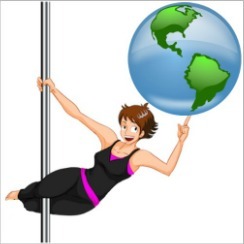 Search our worldwide pole dancing directory to find studios, instructors and pole party companies around the globe. It's totally free to use, and always will be. The directory contains several hundred pages of listings, including studios, independent instructors and party companies from all over the world. Just enter your city, state, province or country, OR the name of the studio you're looking for, in the search box below. Listings from our on-site pole dancing directory will be displayed right here! This method is handy if you want to know how many studios are in a particular country, state, or city, or if you just prefer looking at a list version of our worldwide directory. 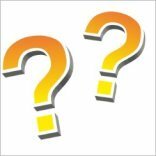 No studios showing up in your local area? Never fear! They may not have submitted their listing to our pole dancing directory yet. To help you out, we've included a second search box below that will return results from all over the internet. Just type in the words "pole dancing" (without the quotes) and the city or area you want, and you'll be taken to a page of search results that match your query. We can't endorse any particular studio or party company since there's no way we can try them all. But you can now leave a review or a testimonial for any instructor, studio or party company you've used. To do this, just go to the studio's listing page and click on the "comments" button at the bottom of that page to leave your review. Others will be able to see these comments when they visit that studio's listing.